Usually the ad posted on the Internet for a french bulldog for sale either very cheap ($500-1000) or free and all you do is pay the shipping. I also have seen lately scammers in Google ads- the ones which are paid. I have never seen it before, but recently have been seeing them. There are web sites, usually very poorly designed. However, some are decently designed. They show “parents”,”available puppies”. Listed price is $500.00-1000. There is no such a thing, puppy for that price. 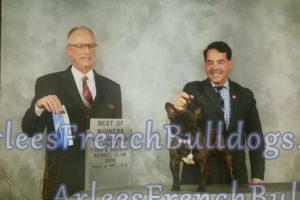 Even for not so “ethical ” breeder or a broker -will NOT sell a french bulldog puppy for $500.00. This is something new, which I have not seen before , I mean the paid Google ads. I heard sad stories over the years over and over again. Stories how people wanted to buy a lower priced puppy. Usually the potential puppy buyer sends money and the puppy never arrives. I also have seen that scammers even use Paypal accounts. I personally have been scammed many years ago. It was over a decade ago. I was looking for a puppy and came across seemingly legitimate ad. I contacted the person, spoke to her. She did not have a web site, but sounded legitimate. She sounded like an unexperienced breeder, who just had good intentions, but no experience. I, myself, did not have much of experience either. We agreed on the puppy, I sent the money by Paypal. The delivery date was approaching; I supposed to fly and pick up the puppy. The scammer was located in Atlanta, GA. I kept calling her and she kept postponing. Finally, by a total accident, I found the pics-what she sent to me- online. Those pics were on a breeder’s site. The real breeder. But a different one. That was a site. So I called the breeder. She told me that her pics were stolen and I was not the first one to contact her about them. 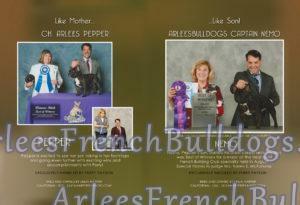 The pups were already placed, but she kept the pics on her site. So, I realized that I was scammed. However, since I have sent the money by Paypal, I contacted them and explained the situation. I had to call the police and file a police report as well, so I can get my money back from Paypal. I resolved the problem, but it was a hassle, imaginary puppy never arrived, not to mention the aggravation. The price for the puppy was not cheap. It was quite a sophisticated scammer. Lesson was learned. That also took place when Google did not have a feature where you can search an image on the internet. At the present time we have this feature, but those scams still exist because potential puppy parents do not search for those images. Another scenario is often times the person selling the French Bulldog puppy is a missionary or working in another country, and must sell the French Bulldog puppy fast due to some sad or not so sad circumstances. Those people will usually ask for Western Union, Moneygram or a money order as a payment. Well, an imaginary puppy never arrives and the money is gone.